Scylla is an agent with the Division. The Division is an American clandestine agency with assassination as one of its main specialties. If a matter requires special handling, up to and including elimination, it is the agents of this group that gets the call. Scylla is one of the oldest and best agents this department has had. And yet while the character is the key protagonist of the second book in the series, and plays a major role in the first, this agent is not the man first thought of by anyone who has read the books or, more commonly, has seen the movie version of the first book. 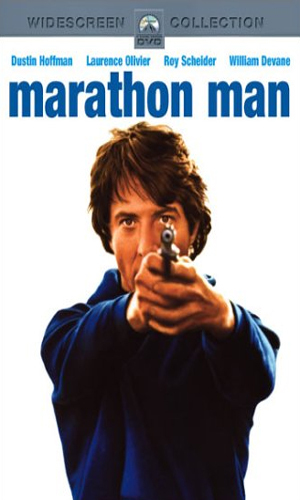 Star billing in that book, Marathon Man, easily goes first to the younger brother of Scylla, a graduate student named Thomas Levy but known more by his nickname of "Babe". It is Babe's misfortune to be related to the agent and even more unfortunate that he is suspected by a desperate Nazi war criminal of having information he doesn't have. It is the stalking and kidnapping of Babe by the criminal that made the first book and movie so captivating and chilling - that and fantastic acting by Dustin Hoffman and even better role-playing by the incomparable Lawrence Olivier. In that movie, the role of Scylla was superbly handled by Roy Scheider. In the second book, it is Scylla who is the star and he shows just how good he can be. Many think him too old to still be doing what he does and the question of his injury that nearly killed him is a factor but Scylla shows that he is still a man to be depended upon by his bosses and feared by his targets. And still loved and admired by his younger brother. 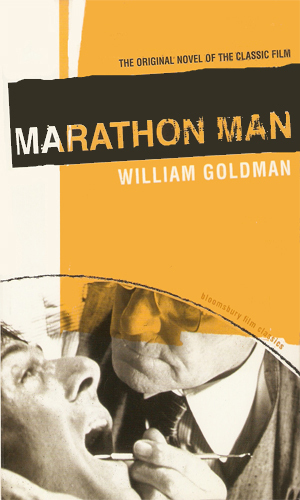 Even as Thomas "Babe" Levy prepares for a marathon and tries to deal with his recurring emotions of his father's suicide years before, a mysterious agent known as Scylla find his dealings with a notorious Nazi war criminal change in nature, bringing terrible danger to Scylla and to the unsuspecting Babe. Scylla is assigned the task of removing two scientists who have come up with new and diabolical ways of killing, one a drug that compels the victim to follow any order and the other a drink that pushes the victim to commit suicide. Controlling these two weapons can change the power structure in the world. A post-graduate majoring in history and looking to explain his father's suicide years before runs afoul of a former Nazi war criminal looking for stolen diamonds and the young man's brother, a government agent. Anyone who watched the awesome movie, and most who read the equally compelling novel, had the same thoughts about what happened to Scylla/Doc Levy in the first book. Apparently the author had other thoughts, or came up with them some time later. Certainly the time separation between the two books, 14 years, is among the longest of all the series reported herein, lending credence to that supposition. 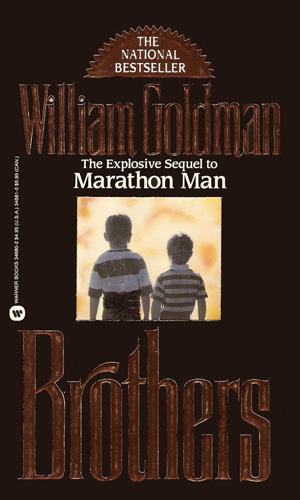 In the books not quite that long separates the two adventures but some time definitely goes by, enough that each brother has changed significantly enough to make these two books quite a bit different.